translated on the CSL localization. will be classified under the Nth volume." distinction between >>issued<< and >issued-year<. it is just that I think CSL can be improved by clearing this up. > will be classified under the Nth volume." > distinction between >>issued<< and >issued-year<. written, so I wouldn't parse them too closely. > The term is also used as an identifier for a sequence of periodicals, generally based on a single calendar year. the 2nd issue of the 103rd volume. > translated on the CSL localization. > it is just that I think CSL can be improved by clearing this up. > written, so I wouldn't parse them too closely. (limited) understanding of how each variable is, or could be used. These descriptions were never curated very carefully. Quite a few mainstream journals (JAMA) have always had two volumes per calendar year. Quite a few quarterly journal volumes span two calendar years with the first issue being published in March or October. For the past few years some publishers seem to have completely abandoned the traditional volume/issue/year model. Elsevier journals no longer are published with issue numbers. Volumes contain a number of articles that is similar to that of several issues in the old model. Elsevier publishes new journal volumes at irregular times within a calendar year, across calendar years, and with different numbers on volumes per year. >> written, so I wouldn't parse them too closely. > (limited) understanding of how each variable is, or could be used. > These descriptions were never curated very carefully. > Quite a few mainstream journals (JAMA) have always had two volumes per calendar year. > Quite a few quarterly journal volumes span two calendar years with the first issue being published in March or October. > For the past few years some publishers seem to have completely abandoned the traditional volume/issue/year model. Elsevier journals no longer are published with issue numbers. Volumes contain a number of articles that is similar to that of several issues in the old model. Elsevier publishes new journal volumes at irregular times within a calendar year, across calendar years, and with different numbers on volumes per year. 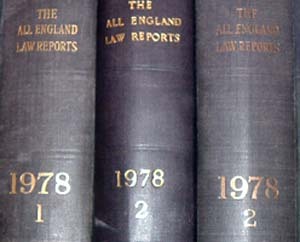 represents the year in which the case was published. is the year in which the case was decided. volume of the printed reporter. >> Quite a few mainstream journals (JAMA) have always had two volumes per calendar year. >> Quite a few quarterly journal volumes span two calendar years with the first issue being published in March or October. >> For the past few years some publishers seem to have completely abandoned the traditional volume/issue/year model. Elsevier journals no longer are published with issue numbers. Volumes contain a number of articles that is similar to that of several issues in the old model. Elsevier publishes new journal volumes at irregular times within a calendar year, across calendar years, and with different numbers on volumes per year.